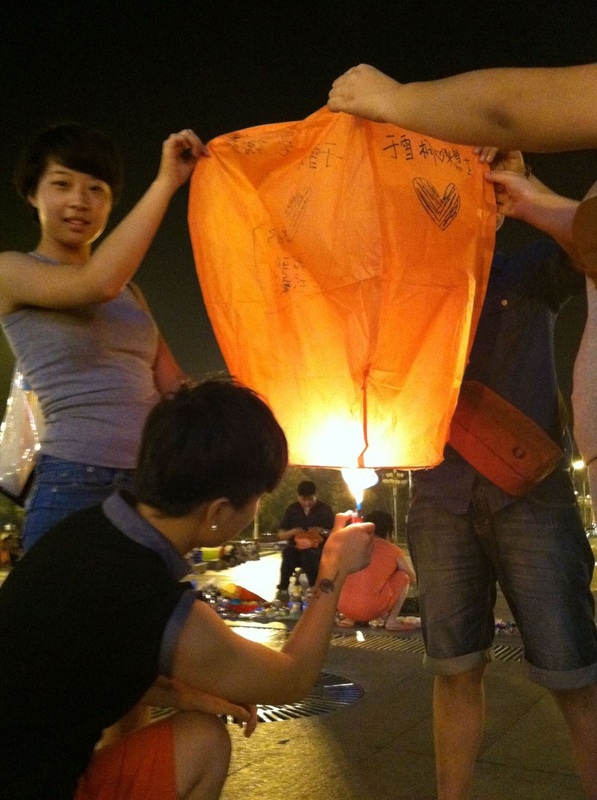 The girls nearby helped me light the balloon. And a man nearby volunteered to take pictures. 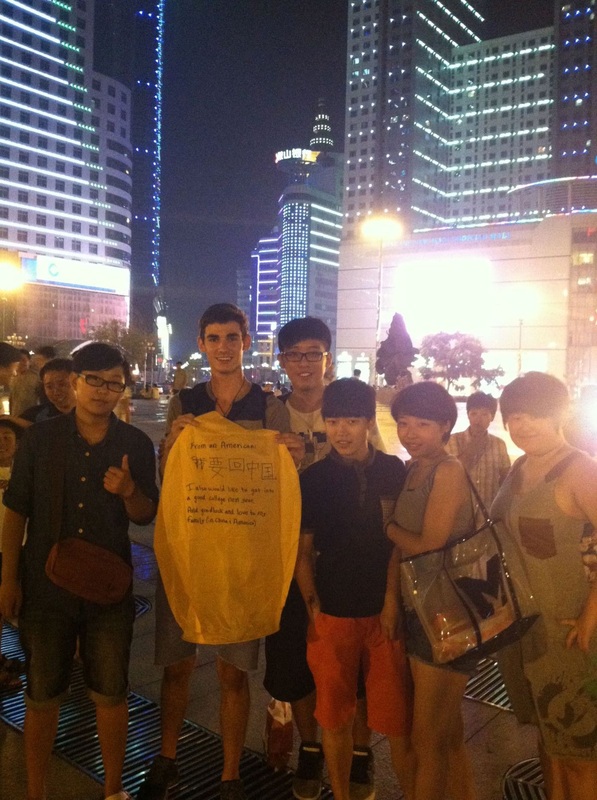 It reminded me of how kind the Chinese are. They’re always thinking about others, not themselves. We lit it. I let go. 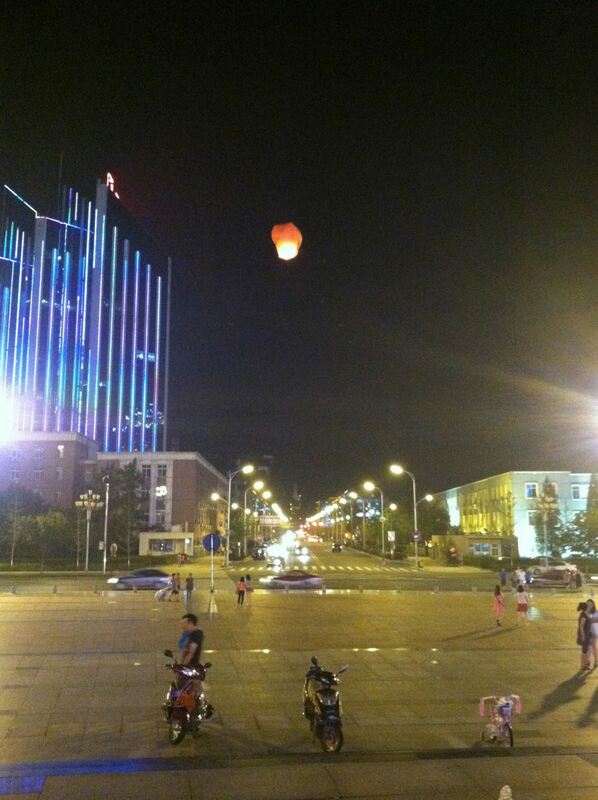 As my balloon floated away, I realized that was going to be me in a week… flying away from China into the unknown. Next year was my senior year in high school, I didn’t know which college I’m going to, and I still had so much to discover about myself. I think China had made me realize that you can’t expect to follow a pre-determined path through life. Stray from it, and that’s when you’ll be experiencing a life truly worth living. If you would have told me, this time last year, that I would be in China the following summer… I wouldn’t have believed you. But, there I was: making memories that I’ll one day tell my children, learning lessons that will guide me throughout my life, and leaving the country with not one, but two, families. There was something about that balloon, though, that made me feel like my dreams will come true. But, I also realized that I can’t just wait for them to happen. Rather, I’m going to make them happen. As I tried to explain what I am saying now, in broken Chinese, my brother called me poetic. 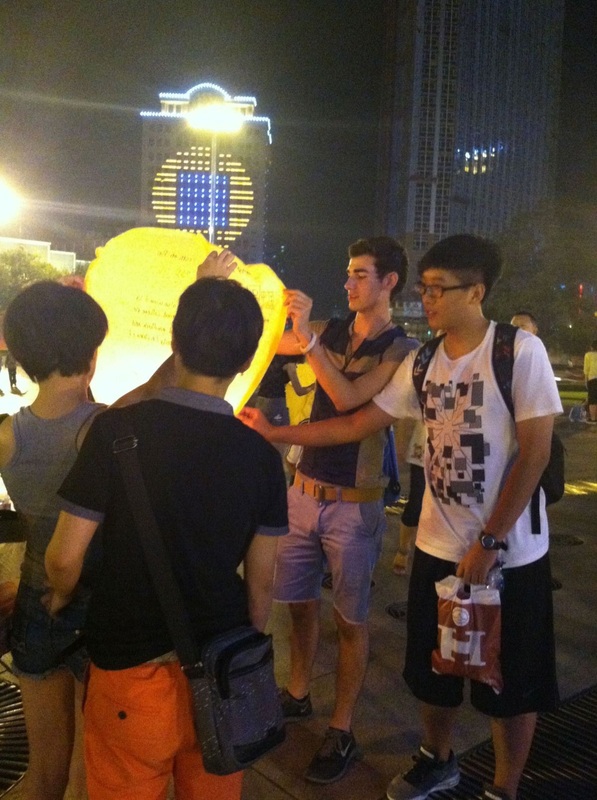 I don’t think I was, but I think what happened that night exposed me to my emotions and a stark realization: I was going to miss China. I know that still, no matter where I go, China will always be a part of my life… whether I’m in China, or China is on my mind.